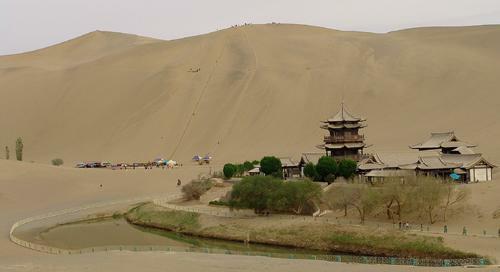 Crescent Moon Lake is a picturesque lake located in the Singing Sand Dunes outside Dunhuang. For a view of the lake and to enjoy a striking view of the desert landscape, visitors must climb a fairly steep 250 meters (820ft) up the sand dunes. 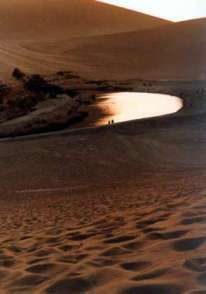 Camel rides are available and add to the drama of the dunes and the desert.